Master tattooist and comics artist Graham Chaffee joins the show to talk about his new graphic noir, To Have & To Hold (Fantagraphics)! We get into the culture(s) of LA and why it’s the quintessential 20th century American city, the way the internet has changed the tattoo business, Graham’s history with comics, the difference between the story and the plot, his lengthy hiatus from making comics and what brought him back to it, the joys of drawing a good dog, the accidental portrayal of race in his comics, and the time he did a full-back tattoo portraying the dark night of Lisa Simpson’s soul! Give it a listen! And go buy To Have And To Hold (along with Graham’s other comics)! 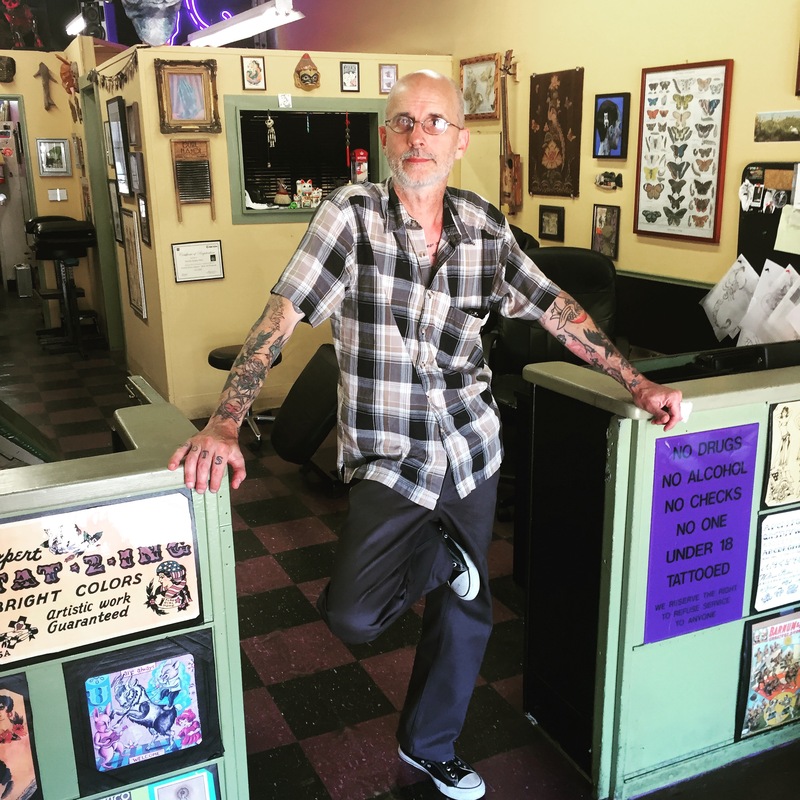 And visit his tattoo shop, Purple Panther Tattoo, when you’re in LA! Credits: This episode’s music is Nothing’s Gonna Bring Me Down by David Baerwald, used with permission from the artist. The conversation was recorded at Purple Panther Tattoos on a pair of Blue enCORE 200 Microphones feeding into a Zoom H5 digital recorder. I recorded the intro and outro on a Heil PR-40 Dynamic Studio Recording Microphone feeding into a Cloudlifter CL-1 and a Mackie Onyx Blackjack 2×2 USB Recording Interface . All processing and editing done in Adobe Audition CC . Photos of Graham by me. They’re on my instagram.